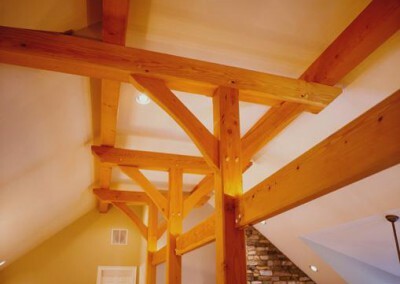 Schultz | Lancaster County Timber Frames, Inc.
One of the most intriguing design features of this timber framed great room is the system of timber columns supporting something that almost looks like the yardarms of a mast. These somewhat unusual “yardarms” in turn support girts that run the length of the great room bridge and define the truncated cathedral ceiling. 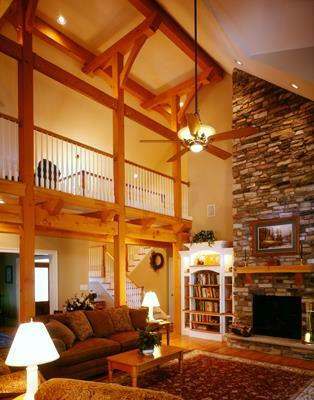 Once a timber frame design breaks out of the centuries old sanctioned design conventions, interesting timber frame configurations like this one are often devised to handle the challenges of non-traditional designs – all with the flair and charm of traditional joinery. 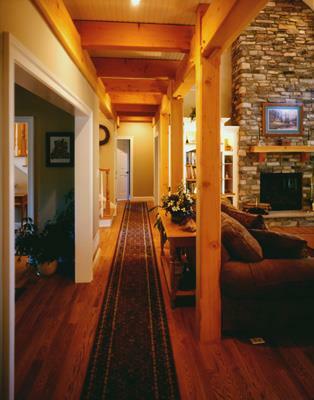 The bridge above the foyer corresponds to an arcade-like hallway below, and links the two bedroom wings on either side of the great room. 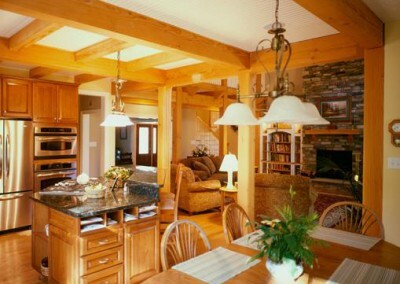 There is a kitchen and dining area off to one side of the great room with timber ceiling joists and white washed tongue and groove ceiling. 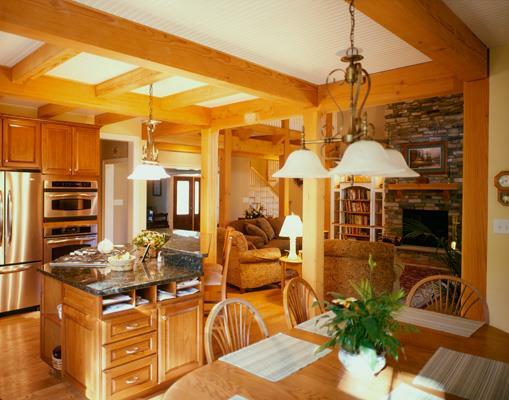 Designer: Fretz Simonds Homebuilders, Inc.